Here at Exclusive Heating, Air Conditioning, Sewer & Drain Service Service, we understand that keeping your home comfortable and safe for you and your family is always at the top of your list of priorities, and sometimes, it can feel like a full time job to do so. Your home’s heating, air conditioning, sewer & drain systems are incredibly complex, and there are any number of issues that can spring up with little to no warning at all. In times like those, you always want to feel confident that you have someone on your side that you can trust to fully resolve whatever the issue might be and restore your home to its original quality, and that is exactly what our team of professionals here at Exclusive Heating, Air Conditioning, Sewer & Drain Service aim to do. Our team of HVAC contractors and sewer service professionals make it our mission to ensure you always have access to the quality heating, air conditioning, sewer & drain service you need, no matter what time of the day or night you might need it. These kinds of issues aren’t always going to wait until Monday morning to show up, so we don’t believe you should have to wait that long for your service. Our team of experienced professionals are available 24/7 to provide you with the emergency service you need to restore your home to its original quality condition. Whether you are looking for repairs, replacements, or new installations, our team of experienced professionals can help you get the job done, and get it done right. Here at Exclusive Heating & Air Conditioning, Sewer & Drain Service, we are a third generation company that provides a full range of high quality heating, air conditioning, sewer, & drain services to each and every one of our valued customers. We specialize in hydro jetting and video pipe inspections, and can help you with the installation and repair of a wide variety of equipment from various manufacturers. We firmly believe that honest service should come with an honest price, letting you rest assured that the price we quote you is going to be the price you see on your final bill. Above all else, we strive to make sure that each and every one of our valued clients get the personalized service they need to fully resolve their issues, and to make sure that we treat your home with the same kind of respect that we would give to our own homes. For all of your heating, air conditioning, sewer, & drain service needs, our team of professionals here at Exclusive Heating, Air Conditioning, Sewer & Drain Service are standing by and ready to help. Our 24/7 emergency service ensures that no matter what time your issues arise, day or night, the help you need is only a phone call away. If you are ready to see the difference that quality service can have on your home, give our team of experts a call today and prepare to be amazed. Years of experience in helping homeowners find and solve any and all of their home’s heating, air conditioning, sewer, & drain service needs, no matter how simple or complex they might be. 24/7 emergency service means there is never a time that we won’t be able to provide you with the quality service you need to get your home functioning again like it should be. Honest service at an honest price, and in an honest manner. We believe that our customers come first, and we will do whatever it takes to ensure you get exactly the kind of service you need to restore your home to its original quality condition. If you are looking for a reliable sewer, drain, heating and air conditioning company in New Jersey, please call 732-287-6300 or fill out our online request form. During the winter months, keeping your home warm and cozy for you and your family is one of your top priorities, but if it has been a while since your last heating tune up, or your heating system has had issues that have gone unresolved for some time, you and your family could be in for a cold night. 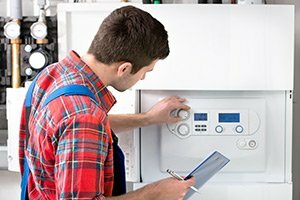 Any issues with your home's heating system should be resolved as quickly as possible, as even the smallest of issues can cause serious problems if they are left to linger, and could result in higher energy bills as your system struggles to provide you with the level of heat you want, and could even result in your system breaking down entirely. Not only will this leave you and your family in discomfort, but it could also place you at serious risk if it happens in the middle of a particularly bad winter storm. You should never take chances with your home's heating system, so anytime you encounter any issues at all, make the call to our team of experienced professionals here at Exclusive Heating, Air Conditioning, Sewer, & Drain and let us help you restore comfort to your home. Your home's heating system is one of the most vital aspects of your home overall. The winters up here can get quite cold, and if your home's heating system isn't prepared for it, or doesn't have the kind of service it needs when something goes wrong, it can be an incredibly uncomfortable and dangerous situation for you and your family. For all of your heating service needs, our team of professionals have the skill and experience necessary to ensure you get exactly what you need to keep your system running its best at all times. Just like with your home's heating system, there is a time of year when it can be difficult to imagine having to live without a working air conditioning system in your home, but if you don't have access to the service you need to keep everything running like it should be, or to repair issues when they arise, it can easily become a reality for you and your family. The summer months should be a time for you and your family to enjoy each other's company and to have fun, and a working air conditioning system plays a major role in that. For all of your air conditioning service needs, you can always count on our team of experienced professionals to provide you with the quality service you need. As important as your heating system is during the winter, you home's air conditioning bears a similar level of importance when the temperatures start to rise in the spring and summer. The summer months should be all about spending time with family and having fun, but if you don't have a nice cool home to retreat to when the temperatures outside start to become a bit too much, it can become a real crisis very quickly. When your home's air conditioning system isn't working like it should be, your home can transform from a comfortable retreat to a sweltering hot box quite quickly, and no one wants to have to deal with that. 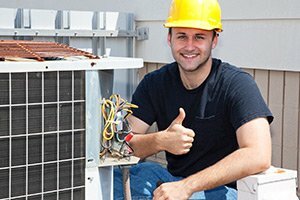 For all of your air conditioning service needs, whether you are just looking for minor repairs, tune ups, or you are looking to replace your old unit with something entirely new, our team of professionals here at Exclusive Heating, Air Conditioning, Sewer, & Drain are standing by and ready to help you get the job done. With our help, your home's air conditioning system can stay up and running efficiently all summer long, helping you keep your home at the perfect level of comfort, and helping you save money while doing it. 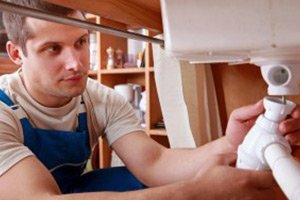 Like every other homeowner out there, you are likely going to find yourself with issues from time to time with your home's plumbing drains, and when that happens, the best thing you can do is make the call to a team of experts you can count on to get the issue resolved quickly and efficiently before any kind of lasting damage can occur to your home. For all of your plumbing drain service needs, you can always count on our team of experienced professionals for prompt, quality service that will give you the lasting results you need to feel confident in the quality of your home's plumbing drains. 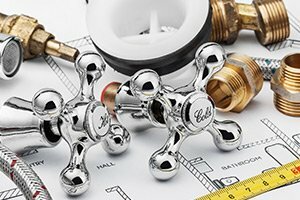 Even though you might not spare much thought to them on a regular basis, your home's plumbing drains serve an incredibly important function in your home overall, and anytime you experience any kind of issues with them, you want to be sure that you have the name of an experienced professional who can help you get them fixed up and flowing like new again in no time at all. For all of your plumbing drain repair service needs, no matter how simple or complex they might be, our team of professionals here at Exclusive Heating, Air Conditioning, Sewer, & Drain have the skill and experience necessary completely resolve any and all issues you might be experiencing. 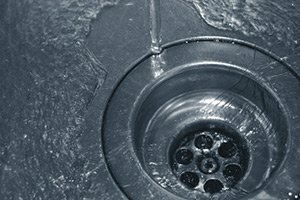 Whether your home's plumbing drains have suffered minor damage recently, or you've had a serious malfunction and require emergency service, our team of experienced professionals can provide you with the prompt and professional service you need to get everything back to its original quality condition in no time at all. All you have to do is pick up the phone and make the call. At some point in your time as a homeowner, you are going to be faced with the frustration of dealing with slow or clogged sewer lines and drains, if you haven't already had to deal with them. 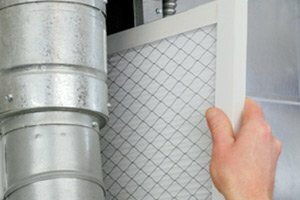 While some of the less serious clogs and backups can be a fairly simple fix, the more serious ones can bring things to a screeching halt inside your home, and that is something that our team of professionals here at Exclusive Heating, Air Conditioning, Sewer, & Drain are here to help you take care of. With our help, your sewer lines & drains will flow as smoothly as the day they were first installed, and all it takes to start the process is to pick up the phone. We have a wide variety of high quality services that are designed to help you get the most from your home's sewer lines and drain, and to make sure that they are always up and functioning like they were designed to do. Between regular maintenance, replacements, and even specialty services like high pressure jetting and video pipe inspections, our team of professionals can help you quickly and accurately identify the cause of any issues you might be experiencing, and provide you with the quality service you need to effectively and efficiently resolve the issue. For all of your sewer & drain cleaning service needs, you can always count on our team of experienced professionals for the best in quality service and lasting results. If you are like most homeowners, you likely spend a great deal of time inside your home, and for that reason, it is important to think about the quality of the air that you and your family are breathing in on a near-constant basis. The air that you breathe can have a dramatic effect on you and your family's health over time, but with the help of our team of professionals here at Exclusive Heating, Air Conditioning, Sewer, & Drain, we can provide you with high quality indoor air quality solutions to help you make your home a more comfortable environment for you and your family alike. No matter how new your home might be, or how much effort you put into keeping it clean, dust, dirt, and other harmful pollutants are continually circulated throughout your home. Our team of professionals can work with you directly to present you with a wide array of different options that will help improve the indoor air quality of your home to help you and your family breathe just a little bit easier. If you are like most homeowners, you likely spend a great deal of time inside your home, and for that reason, it is important to think about the quality of the air that you and your family are breathing in on a near-constant basis. The air that you breathe can have a dramatic effect on you and your family's health over time, but with the help of our team of professionals here at Exclusive Heating, Air Conditioning, Sewer, & Drain, we can provide you with high quality indoor air quality solutions to help you make your home a more comfortable environment for you and your family alike. No matter how new your home might be, or how much effort you put into keeping it clean, dust, dirt, and other harmful pollutants are continually circulated throughout your home. Our team of professionals can work with you directly to present you with a wide array of different options that will help improve the indoor air quality of your home to help you and your family breathe just a little bit easier. Fixtures is a somewhat catch-all term when referring to various aspects of your home's sewer and drain systems. From toilets to bathtubs and showers, to faucets, garbage disposals, and much more, your home's fixtures are extremely important to the overall function and aesthetic of your home. If any of your home's fixtures are no longer functioning like they should, or you've just decided that it's time for a bit of a change, our team of experienced professionals are here to help. Our team of professionals can work with you directly to help you find the perfect new fixtures for your home, or go over all of the possible options with you if you are having a bit of trouble finding the right ones.